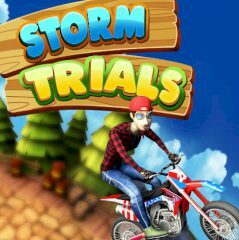 Ride your bike and show stunts to unlock achievements. Collect coins and get stars. Speed up and finish this custom race flawlessly. Just collect coins and unlock achievements by showing off!